Never let your logistic E-Strap be left hanging short again! The "Snap-Loc Link" safely connects multiple E-Straps together extending the length of any type of Logistic E-Strap. Also connects E-Strap to itself for cinching down bundled items. Zinc plated and made from super thick 10 gauge steel with an enormous 4,400 lb. break strength (1,467 lb. working load). Best of all the Snap-Loc Link is are Made in the USA! Use with our "Snaplocs" (E-Track Singles) and positive locking E-Straps for the Ultimate Cargo Control! Safely connects multiple logistic E-Straps together. Also connects E-Strap to itself making a cinch strap. Fits all E-Track type straps. Made from thick 10 gauge steel with Zinc plated finish. 4,400 lb. Break Strength (1,467 lb. working load). KEEPER<sup></sup> 48" SST Bungee Cords are made from the highest quality materials for long-lasting dependability no matter what the application. All KEEPER<sup></sup> bungee cords are designed to withstand UV rays and weather damage with durable outer jackets in bright, visible colors. Inside, premium rubber ensures top quality performance and outstanding toughness. SST hooks have a steel core inside that makes it stronger than conventional bungee hooks, and a glass-filled nylon outer sheath adds grip and protects belongings. KEEPER<sup></sup> Bungee Cords are strong enough to be relied on whenever they're needed. KEEPER<sup></sup> Bungee Cords are made from the highest quality materials for long-lasting dependability no matter what the application. All KEEPER<sup></sup> bungee cords are designed to withstand UV rays and weather damage with durable outer jackets in bright, visible colors. Inside, premium rubber ensures top quality performance and outstanding toughness. Heavy gauge steel hooks at both ends are coated with a protective vinyl covering, which prevents rust and ensures that hooks will never damage paint or scratch metal. KEEPER<sup></sup> Bungee Cords are strong enough to be relied on whenever they're needed. 12 Pack contains (4) 10" Mini, (4) 18", (2) 24", (1) 30", (1) 36"
This versatile 24inch. Universal Lockstrap is perfect for both work and play. Itft.s 3-dial locking carabiner hook is oversized to lock onto multiple anchors, and back onto itself for a locking loop. Great for helmets and jackets on the go, or your valuable tools and equipment on the job. Sewn inside itft.s two layers of premium webbing is a 3mm stainless steel cable to give you superior protection from theft. KEEPER<sup></sup> EPDM rubber compound is engineered to perform better than standard rubber in straps. Unlike straps manufactured from cheap rubber, these straps will not crack, rot, or lose rebound qualities, and KEEPER<sup></sup> rubber remains no brittle in temperatures as low as -40F. Each strap in this pack of 5 resists damage by sunlight, ozone, and demanding weather. Strength and durability are ensured by zinc plated, steel hooks that will not rust, corrode, or break as easily as other straps, making KEEPER<sup></sup> EPDM Rubber Straps the best choice whenever you need a reliable strap. The 5 piece Multi-Pack Jar contains (2) 24", (2) 19", and (1) 14" straps to suit any application. Snap-Loc Strap Link Never let your logistic E-Strap be left hanging short again! The "Snap-Loc Link" safely connects multiple E-Straps together extending the length of any type of Logistic E-Strap. Also connects E-Strap to itself for cinching down bundled items. Zinc plated and made from super thick 10 gauge steel with an enormous 4,400 lb. break strength (1,467 lb. working load). Best of all the Snap-Loc Link is are Made in the USA! Use with our "Snaplocs" (E-Track Singles) and positive locking E-Straps for the Ultimate Cargo Control! Snap-Loc Strap Link is rated 5.0 out of 5 by 1. Rated 5 out of 5 by mortise1 from This is are a very useful connector for attaching the... 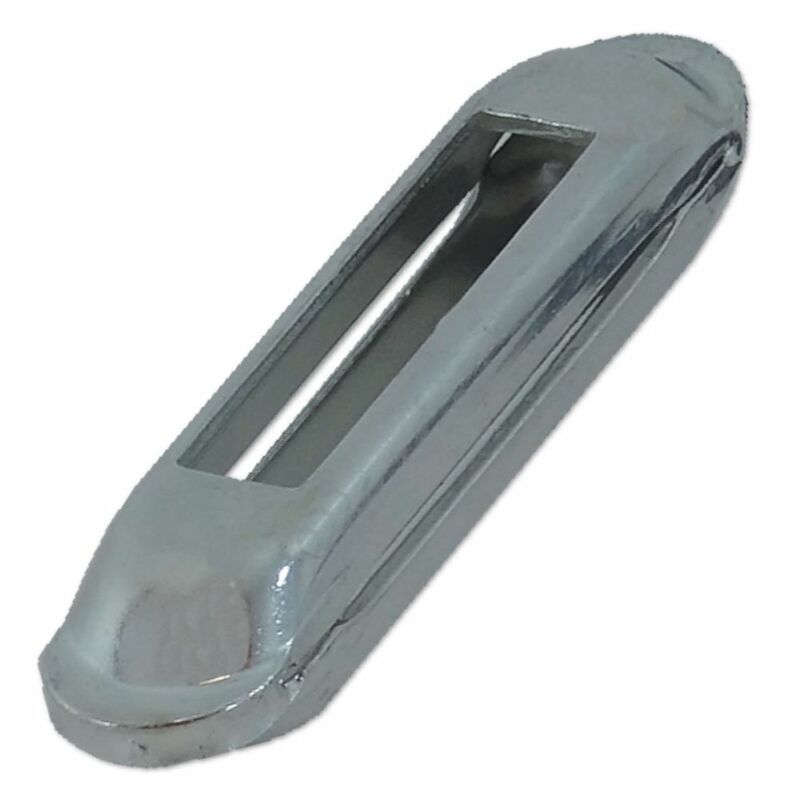 This is are a very useful connector for attaching the ends of two e-track straps to make a longer strap. It can save you in the case where you encounter a much larger load than normal and have short straps which you can put together or longer ones for very large load dimensions.